(from left) Joanna Hughes, outreach services manager, Pete Mayo, director of pastoral care, and Susan Barrett, director of volunteer services donated canned goods collected by Via Christi Hospital in Pittsburg on Tuesday. 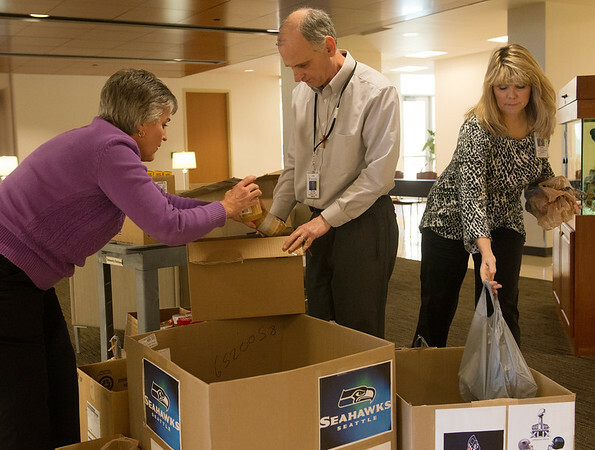 Leading up to the Super Bowl, Via Christi associates donated the food by dropping goods in the box of the team they thought would win the game. The Via Christi Mission Committee donated the food to Wesley House on Tuesday.